I hate to throw out a favorite board game even when there are pieces missing! That is why I love this project to create your own postcard or homemade cards to give out to friends, or just keep a pile ready to go when you need a quick Birthday or Thank you. 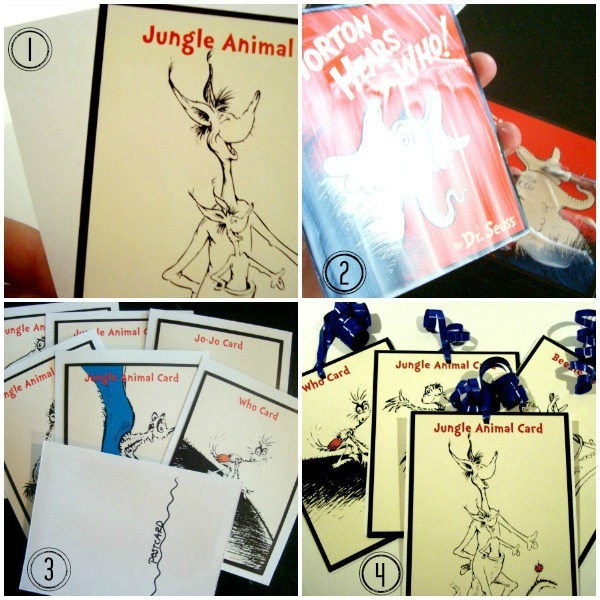 You could also use the same process for making birthday invitations. This project is a great one for digging out those games that you no longer play because you are missing pieces. 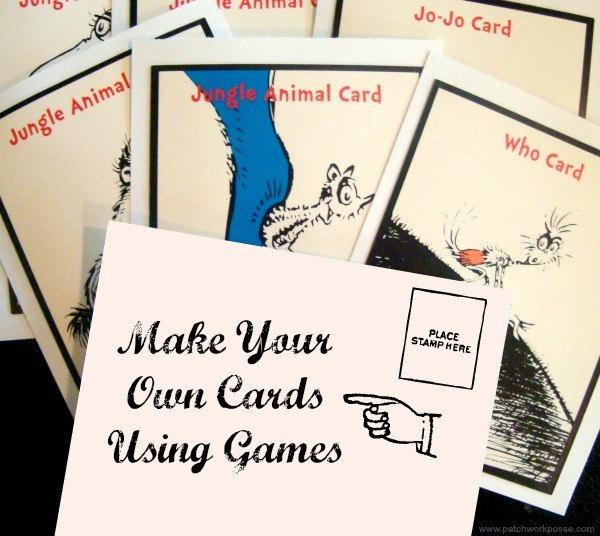 Look for card games especially– those with cards that are on a little bit heavier paper or cardstock. You will be adding a backer to it, but it does need to be strong enough to pass along through the mail system. If you don’t come up with one that will work, make a quick run to the discount or thrift store. There is usually oodles of games that would work for this. You could even let the kids pick out their favorite… or something that shows their personalities. 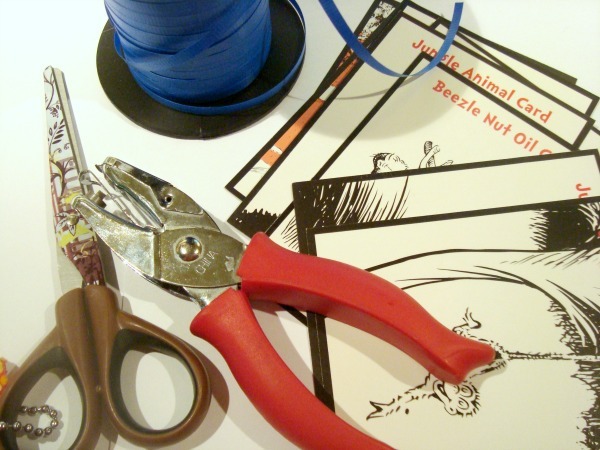 1) Cut a backing paper the same size or a little larger than your the card you are using. Should be out of cardstock or some heavier paper. You can keep it white, or have some fun with color. What kind of cards would be fun to use for this project? Have you made your own cards before?